Sandy Cay is one of those islands that you picture in the brochures. Small. Deserted. Uninhabited. Only reachable by boat. It has a nice sandy beach on the southern side, a small pond in the middle. It is part of the BVIs and located between Tortola and Jost Van Dyke. 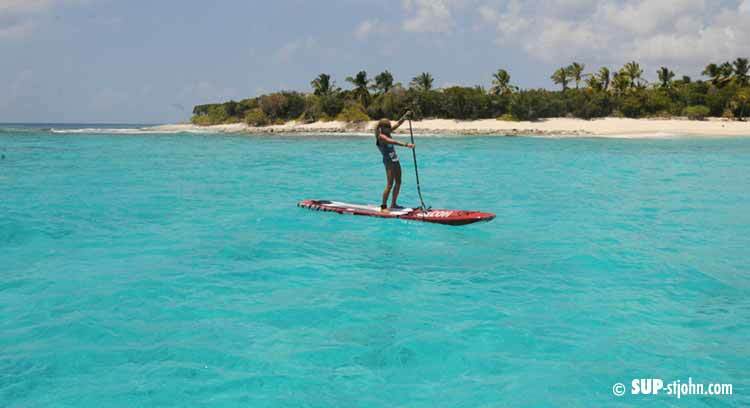 Sandy Cay boasts pristine white sand and is a totally amazing place to paddleboard. 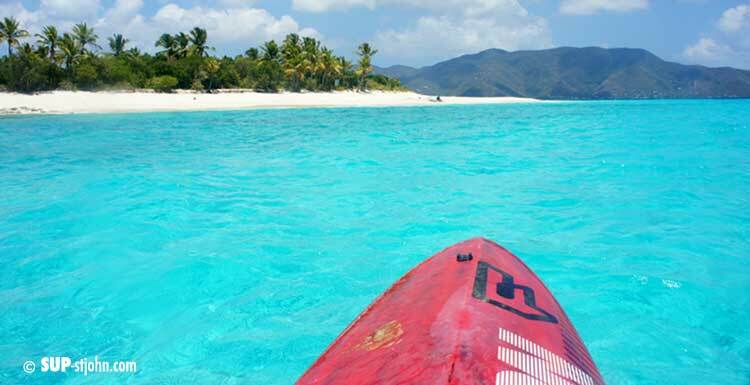 You can circumnavigate the tiny island, play around in the wave on the side of it or go on a downwinder from Sandy Cay to White Bay, Jost van Dyke. The rocks on the island have a greenish color from copper ore deposits. It measures less than a half an acre in size, and consists entirely of a ring of sandy beach surrounding light foliage. It has the appearance of a classic paradise “desert island” and has been photographed for use in print medium in a number of advertising campaigns. 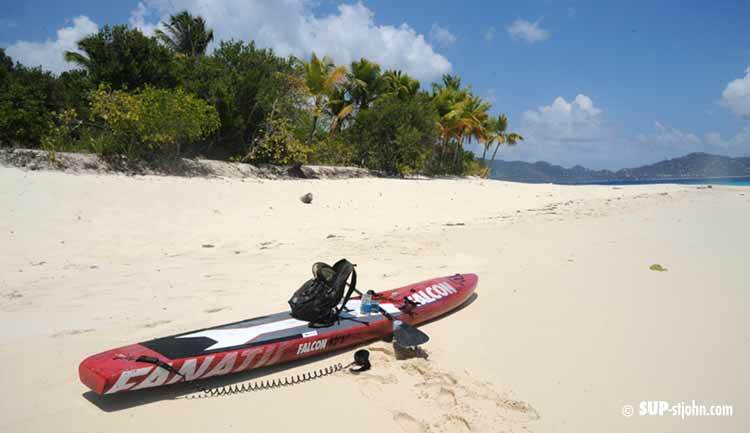 if you are a very strong paddleboader and the wind is right you can paddle from Tortola or St. John to Sandy Cay. Other than that, Sandy Cay can only be reached via private boat for example with our Powerboat www.rockhoppin.com. There is no dock so you have to moor or anchor and the paddleboard will be handy to get to the shore (swimming can be tough).